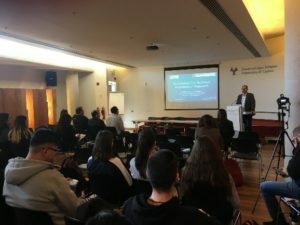 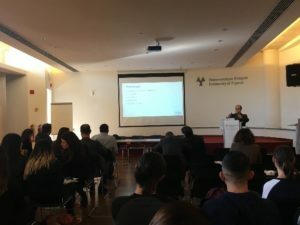 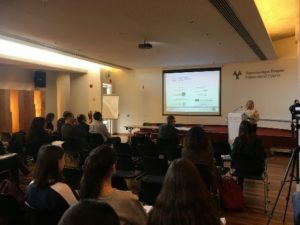 The 2nd Blue Career Fair in Cyprus started in Nicosia at the University of Cyprus, and will continue in Larnaca and Limassol on December 13 and 14, respectively. 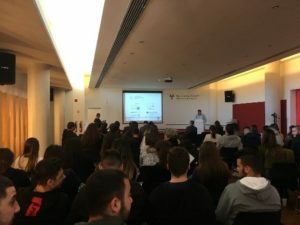 The fairs are organized by the Cyprus Chamber of Commerce and Industry and MARINEM. 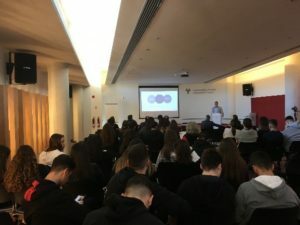 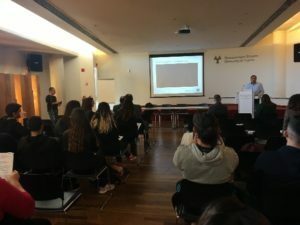 Blue professionals talked to an audience of high school students from the Nicosia district. 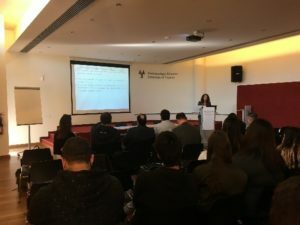 Five university students from Greece also had the opportunity to attend. 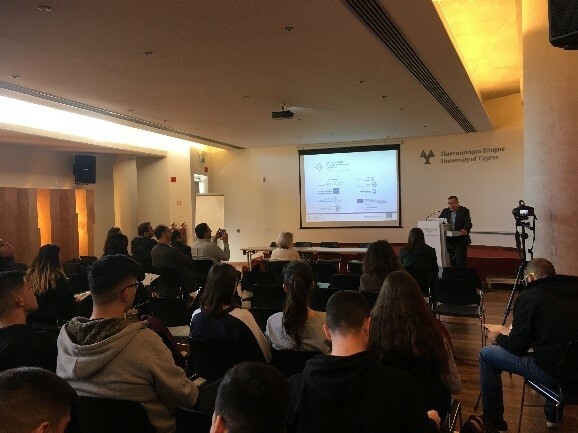 Professor Nikolaos Ventikos (NTUA) talked about maritime professions and Dr. Niki Hartosia (UCY) about the prospects of marine aquaculture. 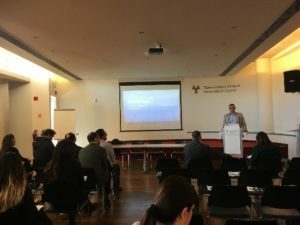 Other speakers kindly presented the fields of shipping-cruise tourism and offshore oil and gas.